Victoria McMahon, Daily Mirror. 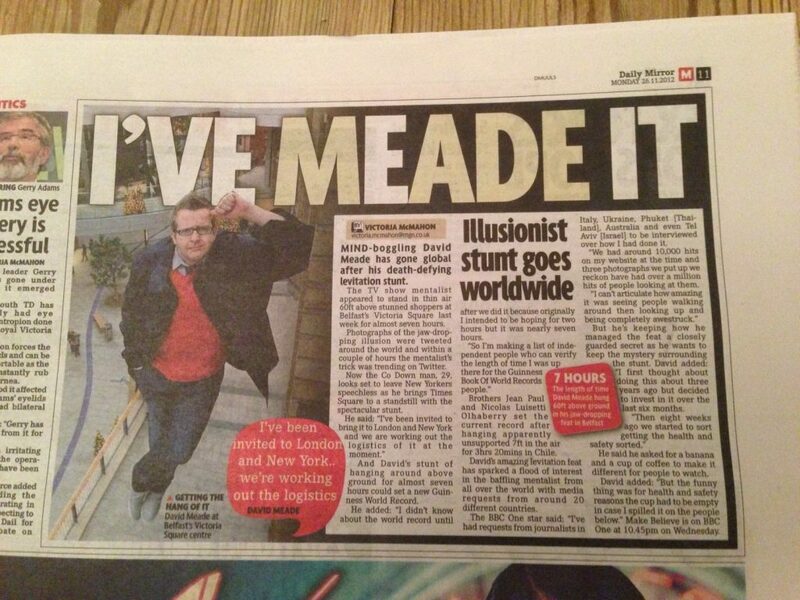 Mind-boggling David Meade has gone global after his death-defying levitation stunt. The TV star mentalist appeared to stand in thin air 60ft above stunned shoppers at Belfasts Victoria Square last week for almost seven hours. Photographs of the jaw dropping illusion ere tweeted around the world and within a couple of hours the mentalist’s trick was trending on twitter. Click the image above to read the article in full.